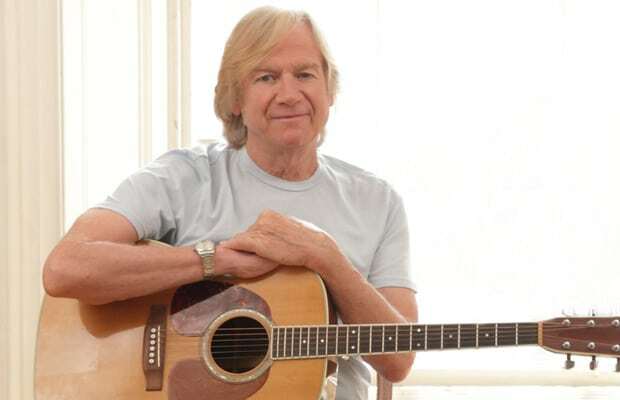 Justin Hayward’s impact on the music industry is undeniable. From his 18 platinum and gold awarded band “The Moody Blues”, whose album sales are estimated to be near 70 million, to his impressive solo career, Hayward has left his mark on the Rock N’ Roll music scene for decades to come. He is now set to bring his career spanning catalog of hits to 2 of our venues, The Rose in Pasadena on June 11th, and The Canyon Club on June 12th.His smash hits including “This Morning”, and “Nights in White Satin” helped form Hayward into a household name and became the soundtrack to millions of adoring fans’ lives as they grew up with his music. Hayward’s upcoming solo shows are where he can really get back to the way his songs were intended to be heard, using the same acoustic guitars he played while recording the records. Expanding on his decade spanning catalog of music, Hayward recently debuted a new song, ‘The Wind of Heaven.’ The song was inspired when David Minasian, a filmmaker who was working on a live DVD with Hayward, was working on a film about a vet returning from Afghanistan. Hayward felt such a deep emotional connection with the story line of the film, that he wrote the song. Come experience a once-in-a-lifetime concert experience with Hayward, where you too can live in “Forever Autumn,” even if it’s just for one night. Purchase tickets for The Rose, Pasadena – June 11th, 2016. Purchase tickets for The Canyon Club, Agoura Hills – June 12th, 2016.